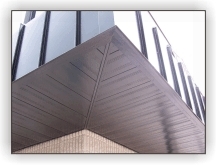 Solid or vented soffit panels in two profiles; flush VS12 or VS111 1" reveal panel. These panels are also a great alternative vertical wall panel. 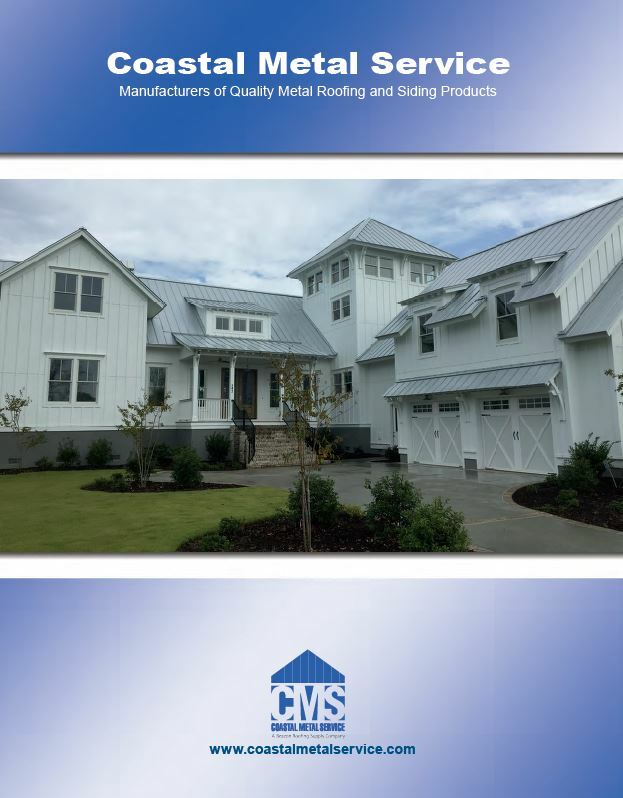 VS 12 and VS111 panels have a 12" coverage and are used for vertical wall or soffit panels and are not to be used as roof panels. They are produced in two profiles; flush panel and 1" revealed panel, with or without perforations. Each lineal foot of perforation offers 3 1/2" net free air flow. Custom cut to the inch in lengths from three (3) to forty (40) feet for solid panels and custom cut to the inch in lengths from four (4) to forty (40) feet for perforated panels. The VS12 and VS111 panels are available in all of our unique COLOR LOC® Kynar 500® /Hylar 5000® painted 24 gauge steel and selected .032 aluminum colors. Soffit panels can be installed over open purlins spaced up to 48 inches on center. Your order can be ready for shipment in a week to ten (10) days.